was finally able to use his training from Steve Morse’s presentation at RootsTech 2012 to create a One-Step Search App for the Dziennik Polski Detroit Newspaper Database. To search on 30,920 Polish Vital Record Events, just go to the new Dziennik Polski Detroit Newspaper Database App Search page (on the right, under PAGES, for future reference). 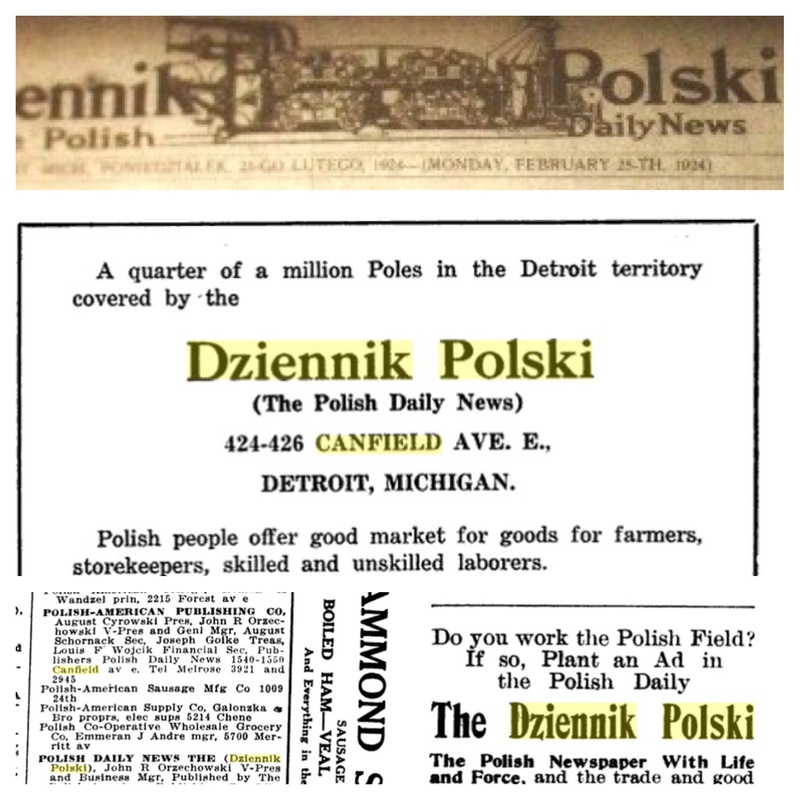 For more background on the Dziennik Polski Detroit Newspaper click on the link. Last Name – exact means the full last name exactly as you typed it. You can also select the ‘starts with’ radio button and just provide the first few starting characters. Do not use any wild card characters! First Name – exact means the full first name exactly as you typed it. You can also select the ‘starts with’ radio button and just provide the first few starting characters. Do not use any wild card characters! 06/01/1924 (for June 1st, 1924). Format is MM/DD/YYYY. Leading zeros are required for a match. You can use ‘contains’ radio button to enter a partial date. The most useful partial is just to provide the Year (YYYY). Do not use any wild card characters! Event Type – exact means the full event type. This is not recommended. You SHOULD select the ‘starts with’ radio button and just provide the first few starting characters. Do not use any wild card characters! Uppercase is not required. Indexer – exact means the full indexer exactly as you typed it. You can also select the ‘starts with’ radio button and just provide the first few starting characters. Do not use any wild card characters! The Indexer is meant to be informational only, but you could conceivably want to search on this field too, so it is provided. Well Stanczyk have been busy for a few days, trying to update the Rootsweb page dedicated to the Dziennik Polski, Detroit, MI Polish Language Ethnic Newspaper. The Index page with the names has been updated with nearly 7,000 new names / dates from 1936. 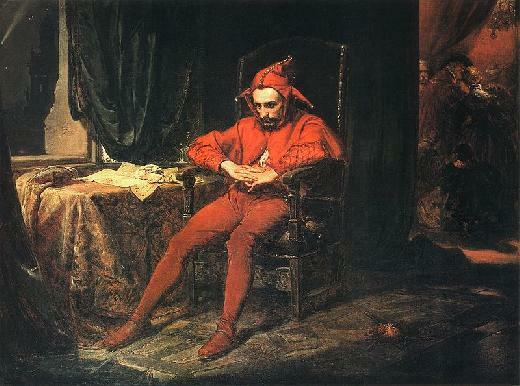 The Summary of all Dziennik Polski transcriptions now totals 48,217 of which 26,745 of those names are indexed and the summary page is here. The Index page is alphabetical by Last Name, First Name, Date of Newspaper (when the name appeared). Use your browser’s FIND capability (Ctrl-F in Windows, Cmd-F in Mac) to search for a name or just scroll the page. 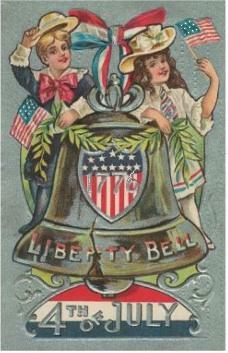 Stanczyk wishes all Americans a Happy Fourth Of July ! I just wanted to update my readers that my page on the Dziennik Polski (Detroit, MI) Newspaper has been updated to include a new repository: PARI – Polonica Americana Research Institute on Orchard Lake, St Mary’s campus, whose Director is the well known Ceil Wendt Jensen (who has ancestors from Stanczyk’s ancestral village, Pacanow). Their holdings are 1904-1920 on microfilm and 1930’s-? in bundles of actual newspapers. Mój pies (my dog), Java wants everyone to keep their dog safe today and not to lose your dogs due to the fireworks and the fright they cause in dog’s sensitive ears.